Imagine you’re building a small solar installation. The naive solution would be grabbing a solar panel from Horror Freight, getting a car battery and AC inverter, and hoping everything works. This is the dumb solution. To get the most out of a solar you need to match the voltage of the solar cell to the voltage of the battery. How do you do that? With [Debasish]’s entry for The Hackaday Prize, an Arduino MPPT Solar Charge Controller. This Maximum Power Point Tracker uses a buck converter to step down the voltage from the solar cell to the voltage of the battery. It’s extremely efficient and every proper solar installation will need a charge controller that does something similar. For his MPPT, [Debasish] is using an Arduino Nano for all the math, a DC to DC buck converter, and a few MOSFETs. Extremely simple, but [Debasish] is connecting the entire controller to the Internet with an ESP8266 module. It’s a great example of building something for much less than it would cost to buy the same thing, and a great example for something that has a chance at making the world a little better. When you venture out onto the beach for a day in the sun, you’re probably not preoccupied with remembering the specifics about your sunscreen’s SPF rating—if you even remembered to apply any. [starwisher] suffered a nasty sunburn after baking in the sunlight beyond her sunscreen’s limits. To prevent future suffering, she developed The Beach Buddy: a portable stereo and phone charger with a handy sunburn calculator to warn you the next time the sun is turning you into barbecue. After telling the Beach Buddy your skin type and your sunscreen’s SPF rating, a UV sensor takes a reading and an Arduino does a quick calculation that determines how long until you should reapply your sunscreen. Who wants to lug around a boring warning box, though? [starwisher] went to the trouble of crafting a truly useful all-in-one device by modifying this stereo and this charger to fit together in a sleek custom acrylic enclosure. There’s a switch to activate each function—timer, charger, stereo—a slot on the side to house your phone, and an LCD with some accompanying buttons for setting up the UV timer. 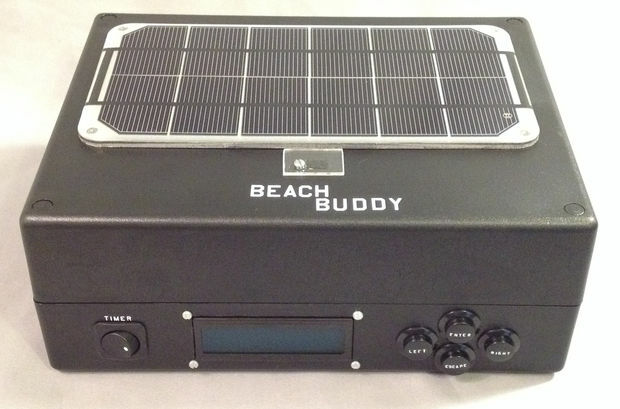 You can check out a demo of all the Beach Buddy’s features in a video below. 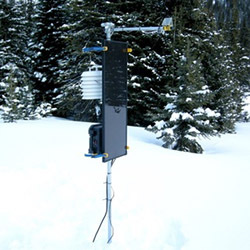 Yes, it’s a weather station, one of those things that records data from a suite of sensors for a compact and robust way of logging atmospheric conditions. We’ve seen a few of these built around Raspberry Pis and Arduinos, but not one built with a Phidget SBC, and rarely one that has this much thought put in to a weather logging station. This weather station is designed to be autonomous, logging data for a week or so until the USB thumb drive containing all the data is taken back to the lab and replaced with a new one. It’s designed to operate in the middle of nowhere, and that means no power. Solar it is, but how big of a solar panel do you need? That question must be answered by carefully calculating the power budget of the entire station and the battery, the size of the battery, and the worst case scenario for clouds and low light conditions. An amorphous solar cell was chosen for its ability to generate power from low and indirect light sources. This is connected to a 12 Volt, 110 amp hour battery. Heavy and expensive, but overkill is better than being unable to do the job. Sensors, including temperature, humidity, and an IR temperature sensor were wired up to a Phidgets SBC3 and the coding began. The data are recorded onto a USB thumb drive plugged into the Phidgets board, and the station was visited once a week to retrieve data. This is a far, far simpler solution than figuring out a wireless networking solution, and much better on the power budget. [Rusdy] is building a solar charger for his electric bike, and quickly realized the lithium cells in his bike wouldn’t work well with the most common charge controllers out there. Solar cells have an IV curve, of course, and this changes with the amount of sunlight, requiring some conversion circuitry. Most of the charge controllers out there operate in buck mode, but the commercial boost mode converters [Rusdy] needed for his 36V battery are pricey as all get out. What was [Rusdy] to do? Build his own Boost MPPT solar charger, of course. The circuit used for the charge circuit is fairly similar to a boost converter, with a little bit of logic required to get the maximum power out of the solar cells. [Rusdy] had an Arduino lying around, so that took care of the logic, and by sampling the voltage and current with the analog pins, he can turn a MOSFET on and off to get the most out of his solar cells. The finished product works perfectly with an efficiency greater than 87%. Charging current and the final trickle charge is adjustable through software, allowing [Rusdy] to get the most out of his solar panels and electric bike. The board itself is just a prototype and could use a layout revision, but we’ve got to hand it to him for cloning a >$300 charge controller with an Arduino and a few scraps in a part drawer.